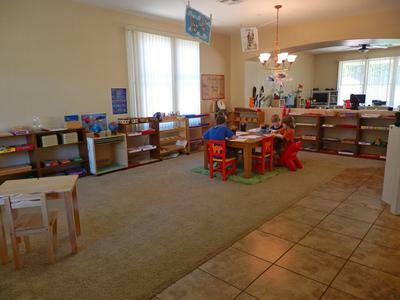 My two oldest children attended a fantastic Montessori school for 2 years before I decided to start homeschooling. 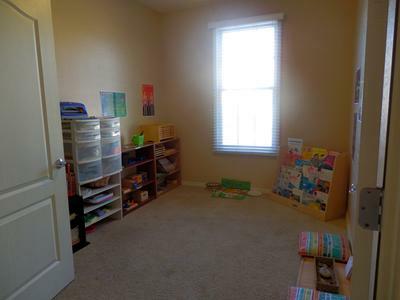 I was inspired by the Montessori layout and materials, and tried to bring that into my own school room, as well as adding my own touches. 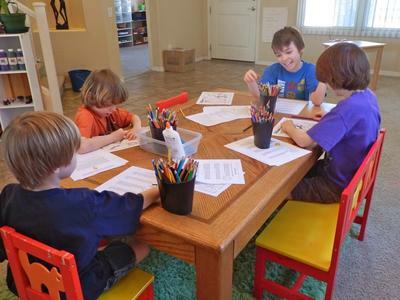 My kids love their homeschooling space!